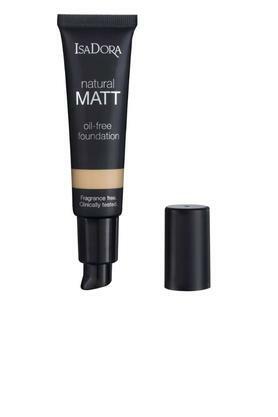 Freshen up your appearance with this Natural Matte foundation that is oil free and prevents the grease from building up too quickly. The light reflecting pigments ensure that you look radiant and glowing. A perfect inclusion in your collection of makeup products, it also has a powdery finish, which lasts for long hours.